ISACO are a specialist in ISA and SIPP investment and together with our clients have an estimated £75 million actively invested1. Our ‘Shadow Investment Service’ gives you the opportunity to look over our shoulder and buy the same funds that we personally own. 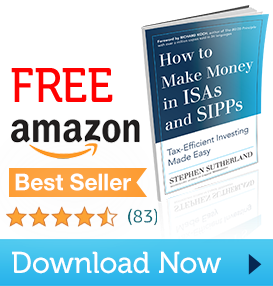 To speak to either Stephen or Paul Sutherland, the two founders of ISACO, please call 0800 170 7750 or click here to download our brochure.